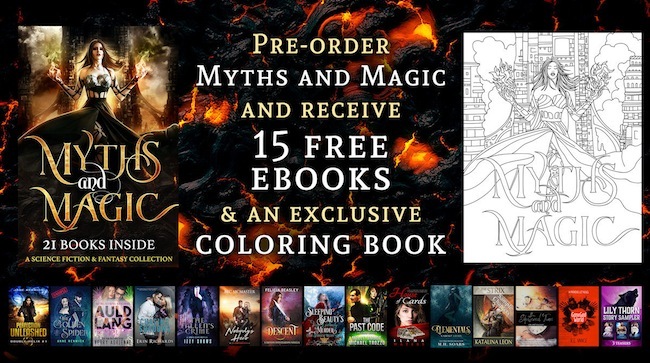 Pre-Order MYTHS & MAGIC now and get BONUS GIFTS! 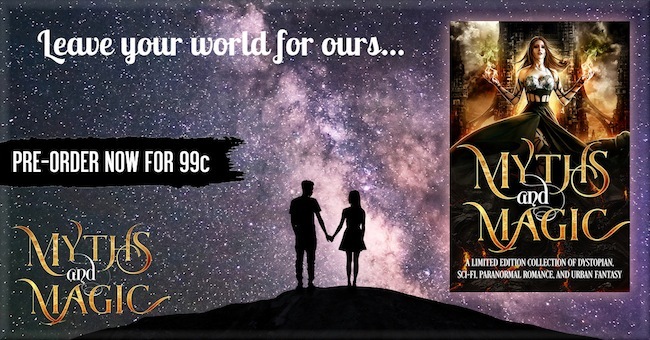 MYTHS & MAGIC sends you on a wild ride across universes where a safe return cannot be guaranteed. Abolished magic returns to Earth. Telekinetic sorcerers, witches, and fairies discover their powers. Humans become cyborgs. Dragons prowl the depths of Iceland’s volcanoes. All this and more is packed inside one boxed set overflowing with stories from today’s hottest USA Today and International Bestselling authors! Pre-Order today to secure YOUR copy of this exciting collection! 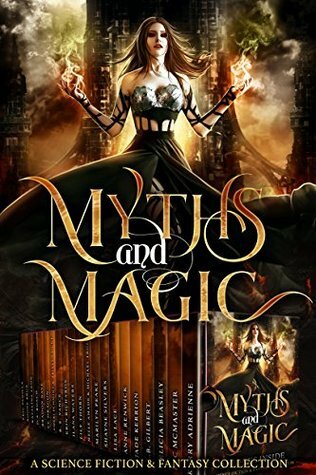 After pre-ordering your copy of Myths and Magic, head to http://www.subscribepage.com/mythsmagic, enter your e-mail address and your confirmation number (or the store name and date, since some vendors don’t have confirmation numbers). You’ll be sent to a “success” page that shows you all the book covers with links to the download sites and then you’ll receive a one-time courtesy e-mail with the download links as well. Download a sneak peek of each book in this fantastic collection. Be sure to like the Myths and Magic Facebook page and join the authors on release day, August 22, 2017, for an all-day release party with tons of giveaways, including a loaded Kindle Fire!